VATICAN CITY (CNS) — God sends his consolation to those in need of reassurance, even when they are facing death, Pope Francis said. 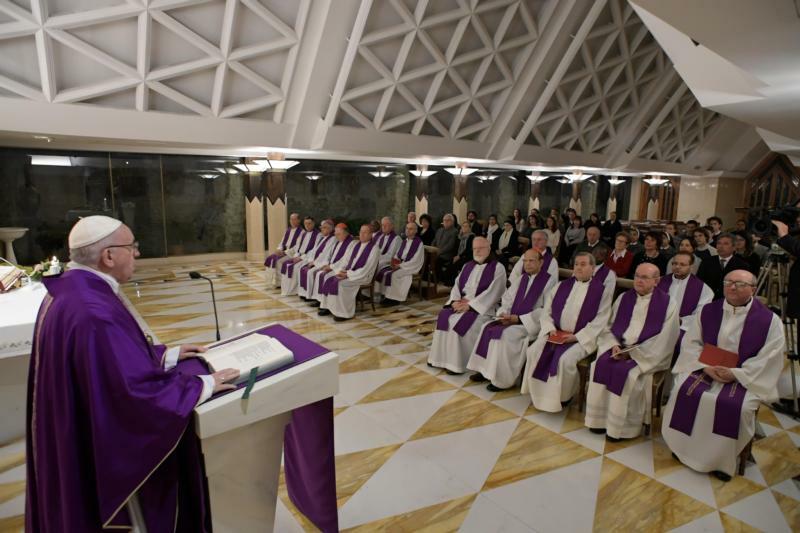 Just like the early Christian martyrs, who sang as they marched to their deaths in the Colosseum, today’s martyrs still give witness to that same joy in the midst of suffering, the pope said in his homily Dec. 11 during morning Mass at Domus Sanctae Marthae. “I think of the good Coptic workers on the beach of Libya, slaughtered. They died saying, ‘Jesus, Jesus!’ There is a consolation within, a joy even in the moment of martyrdom,” he said. “It is a word erased from all the vices that drive us away from the Lord: clerical vices, the vices of a few Christians who do not move, who are lukewarm. They are afraid of tenderness,” he said.